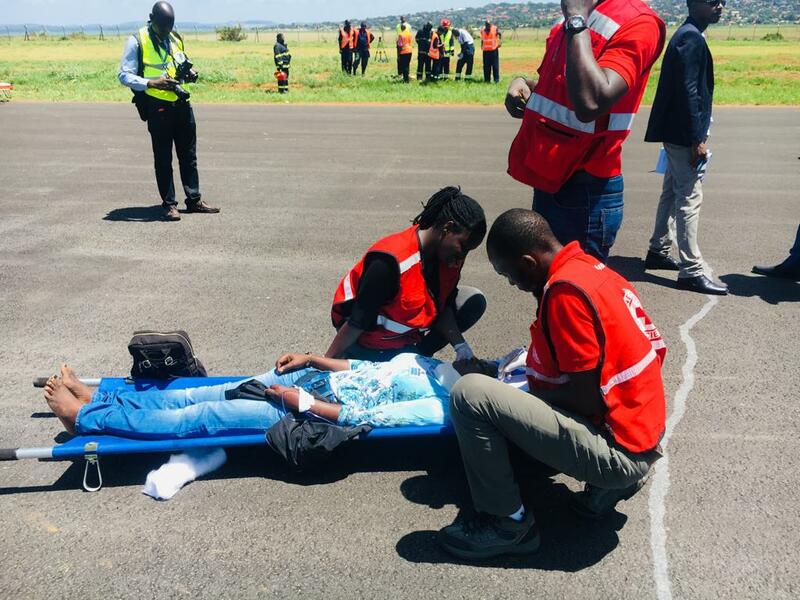 ENTEBBE – ENTEBBE – The Civil Aviation Authority has Wednesday, February 27, held a mock exercise to test Entebbe International Airport‘s emergency readiness in case of an aircraft accident. The exercise that kicked off at noon involved simulation of a hijacked accident in which a “Red Squirrel Airlines” (pseudo name) plane with 180 people on board crashed and caught fire while landing. The exercise assumed that some people lost their lives and a number of survivors were critically injured sparking off an emergency situation in which firefighters and all the other rescue agencies swung into action to save lives. 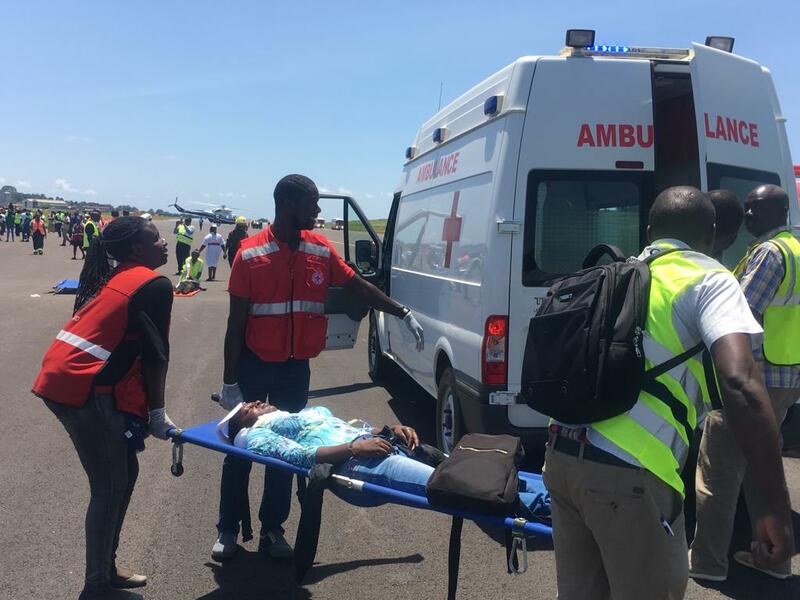 The Civil Aviation Authority’s Fire Fighting and Rescue Services personnel put down the ensuing fire while medics from various hospitals were immediately summoned. Doctors and nurses accessed the site and took care of the “victims”, rushing the critically injured to Entebbe’s Grade B Hospital, International Hospital Kampala (IHK), Nsambya and Rubaga Hospitals. International Civil Aviation Organisation regulations require each international airport in the world to conduct such emergency preparedness exercises on a regular basis so as to rehearse and perfect rescue efforts in the unfortunate occurrence of an accident.